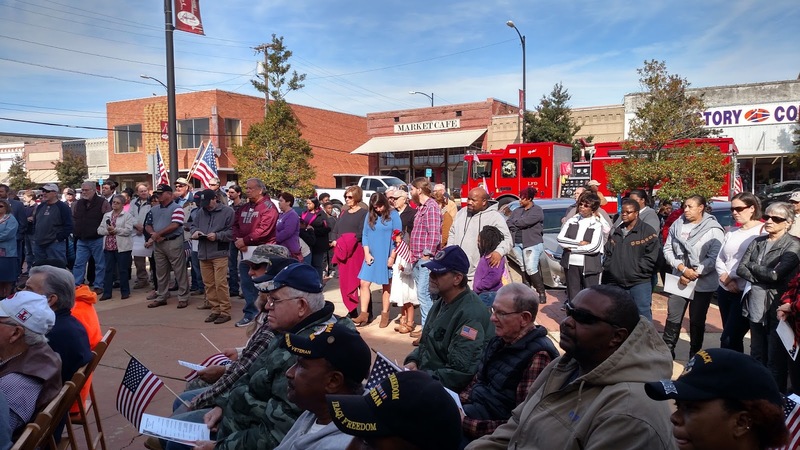 Flags were waving and the LHS band was playing patriotic songs as Louisville and Winston County acknowledged its veterans with a parade down Main Street and a program on the Courthouse lawn on Saturday. 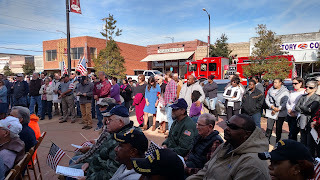 The events were held in conjunction with a historic unveiling of the original cornerstone of the 1888 courthouse structure. (this story coming up later). The following video details the event along with a slideshow of photos than can be seen by clicking here.